This is my attempt at a customizable dashboard. 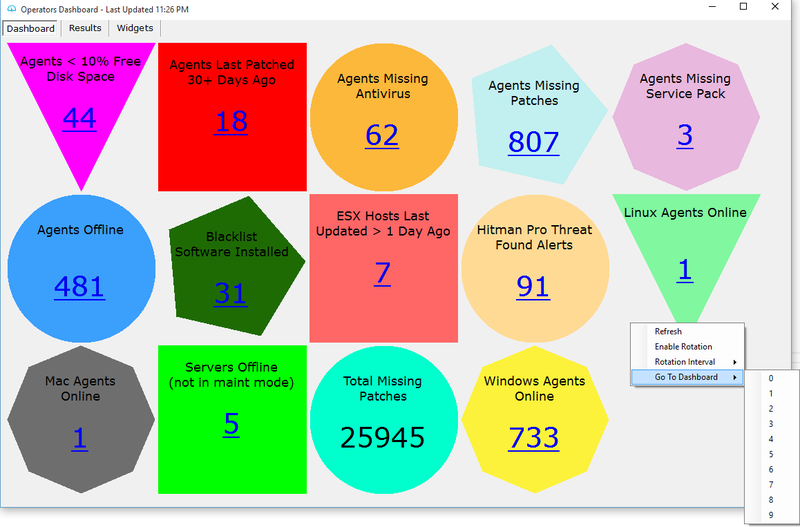 I love some of the dashboards I've seen here and elsewhere, but customization seemed to be lacking. This dashboard will allow you to dynamically add or remove blocks that are best suited to you. Note that the 15 blocks shown are available with the plugin. They are, however, optional. You can remove or adjust them, or add your own with them. Thanks Tim this looks like it would be great for those not keen on dashing due to the complication, this looks like a simple alternative! Thanks! As I said, I like some other options available. I especially like the look of dashing. But I wanted something that didn't require server modification or a browser that made it feel like you weren't still in LT. I thought this would also provide simplicity in adding custom blocks and hope that as people come up with useful blocks that they share them here. This looks great. 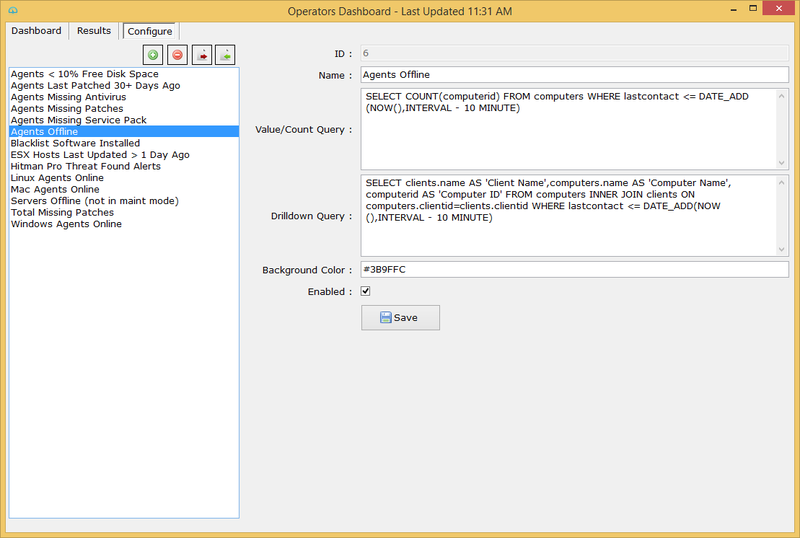 I've installed and will begin playing with options to see if I can create some of my own sql queries for view. Suggestion if possible. When you click on the results and it brings you to the results tab, would it be possible to add an option to export the list, right click to open agent (nm...just realized you can double click to open...LOL), or right click and run a script against a single or multiple selected agents? Great job on this so far. Loving it and definitely easier than dashing. Happy Holidays Tim. Absolutely! I'll be releasing 1.1 shortly after the holidays, unless I get too much free time and do so sooner. It will definitely have an Excel export feature and hopefully the ability to run a script. Double-clicking any agent will open it in LT, no right-click needed. Alright, several changes here. Lots of good stuff. I have V1.0 and love it so far. Cant wait to update it! Thanks! Woops. Guess I should have tested that link. It's updated now. Forgot how Wordpress wants to use new file names and such. Do they come back when you re-open the window, ie close the dashboard and re-open it? 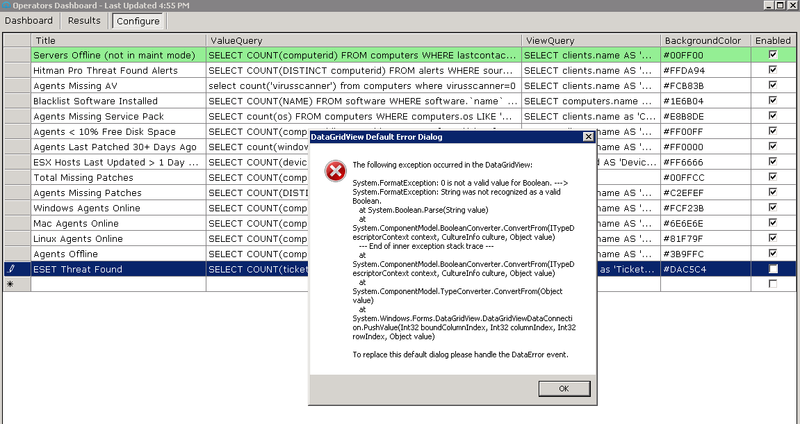 Sounds like an issue with a query is causing the insert statement to fail. Ironically I was getting ready to post some new changes for 1.2. I suspect the problem you're having is because of a query issue; double quote being used or some other issue with one of the queries. I've made some changes that should help to identify those before you attempt to save. -Improved performance/reliability of block queries. -Configuration tab: Switching from one row to another will cause the row ValueQuery to be tested. If it's good, it's green, otherwise it's red. -Configuration tab: Double-clicking a color cell will bring up a dialog to allow you to choose a color. -Configuration tab: Save function is significantly improved/faster. 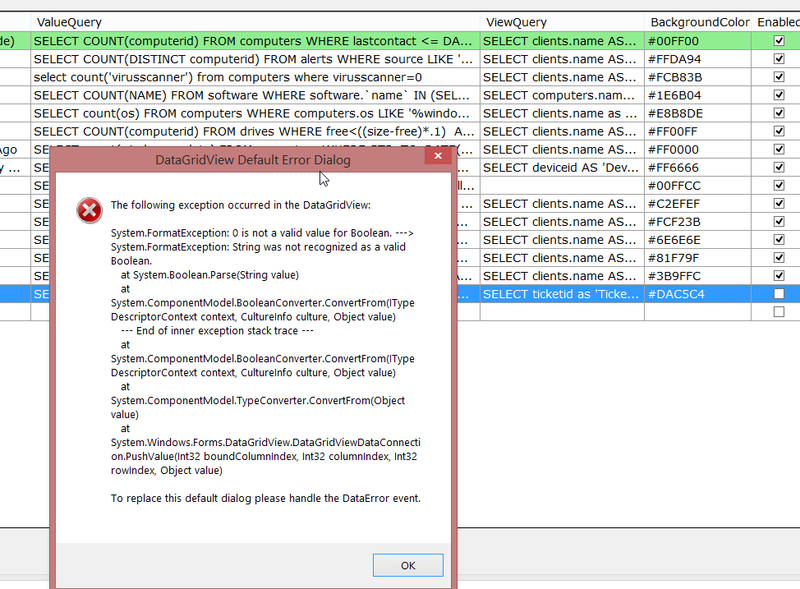 -Configuration tab: When editing a cell, you will receive an error if there is a double quote used. Only single quotes (as well as escaped single quotes) should be used. i hadnt added any custom queries yet. I imported the ones with the sql file. If i unchecked a couple and clicked save, it asks if you want to refresh the view. afterwards if i go back to the query list, they are all unchecked and then the dashboard view is blank. If i try to re-enable them and click save, it just reverts to all unchecked again and a blank dashboard. If i re-import the sql , they all are enabled again and work. i installed the update, but not having success. now there is an error message when you uncheck one of the querys enabled box. Thanks for the screenshot. I think I've got it fixed for real now. Please let me know how it goes. Thanks for your patience. First off: THANK YOU! This is a great plugin with incredible potential for my team. In fact, I've just added several of your plugins to our system and we're already reaping the benefits. A quick bug report: Might just be me, but I updated to 1.3 and I'm still not able to uncheck the "enable" box and save it. I'm still getting the same error that Philip posted previously. I am on 1.3 and also have the following results when trying uncheck the Enabled option on the Configure tab. OK guys, sorry about that. When I tested before, it wasn't breaking, but it just did when I tested. Fixed it for real this time. Also made some changes to the way blocks are refreshed so that it's more fluid most of the time. I updated to 1.4 and still get an error when i uncheck/disable an entry on the configure tab. as soon as I uncheck and either select another entry or uncheck another entry, the error instantly pops up. So it's doing that before you even save it? It's not doing it for me. Hoping someone else can chime in to confirm its happening to multiple folks. yep , as soon as i click to another field it pops that error up. I can go directly to the database table and enable and disable them; but through the plugin/GUI , i get that error still. I tried deleting the table and reinstalling the plugin and I get the same results. I'm still getting this error as well. Once I uncheck, boom, the SQL error appears. Sorry man. PM me if you want and we can work to resolve. Thanks. OK guys. Sorry for the continued issues. I tested and it's fine so I thought the issue was resolved. I'll continue troubleshooting this week and try to get it fixed properly. If anyone is interested in testing before I post it again, please PM me your email address and I'll get you the latest revision before sharing with everyone else. Alright, sorry for the delay. I wanted to do some extended testing. The issue appears to be fixed as best as I can tell now. Please let me know if you have any more issues. Just installed but wanted to give you FYI...the GUID on 1.5 is different than previous versions so you can't upgrade, you have to uninstall and then reinstall. Sorry to report he bad news man!